The Elios writing-desk is closed with a flap top and includes three drawers on the inside. 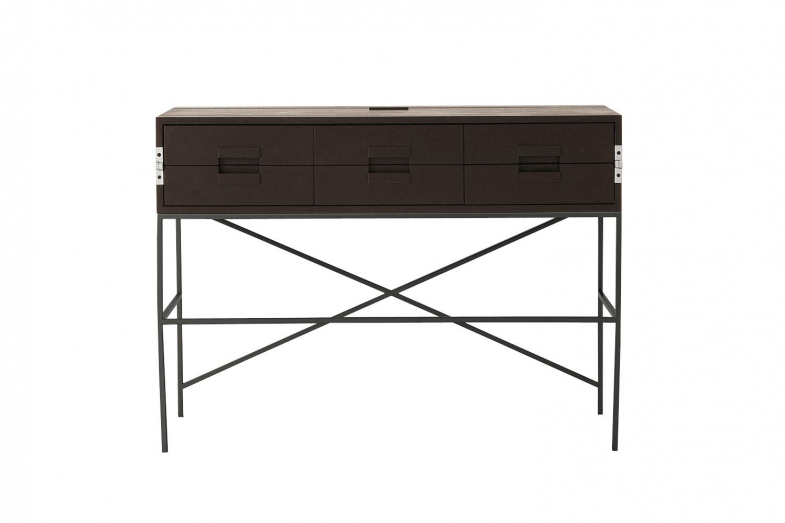 The elegant metal frame is available in bronzed nickel painted steel. Top finishes can be chosen from grey oak, brushed light oak or brushed black oak.